Posted in: USTA, WTA. Tagged: $50, $50K, 000, 2014, Classic, georgia, grace min, irina falconi, Macon, Main Draw, melanie oudin, Pro Circuit, qualifying, tennis, usta, women's. Posted in: Atlanta, Australian Open, Wild Card Playoffs, WTA. 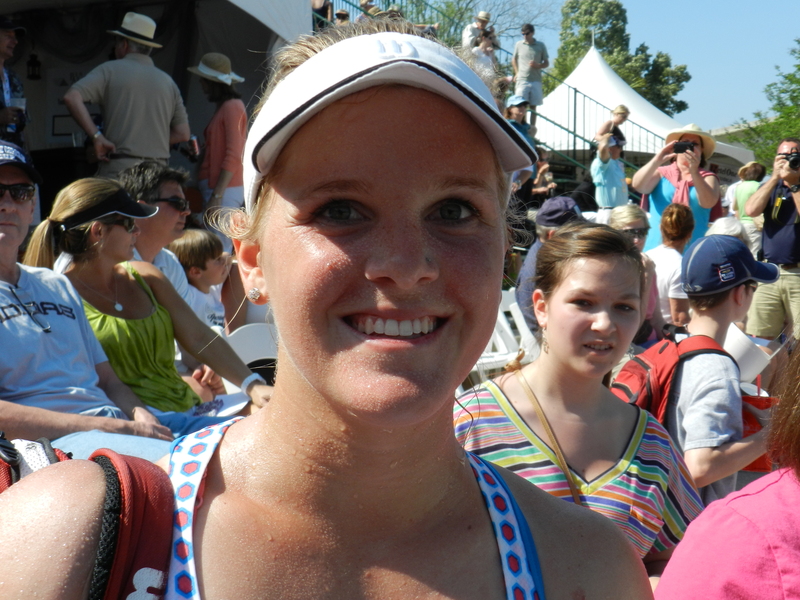 Tagged: 2014, australian open, Life Time Fitness, melanie oudin, norcross, usta, wild card playoffs. Melanie Oudin has confirmed to compete in the USTA Australian Open Wild Card Playoffs in Norcross again this year after a one-year hiatus. USTA Public Relations tweeted the news this morning. The fifth women's player in the @usta Aussie Open WC Playoff is @melanie_oudin, joining @Shelby_Rogers_, @vicky_duval95, G. Min, M. Brengle. 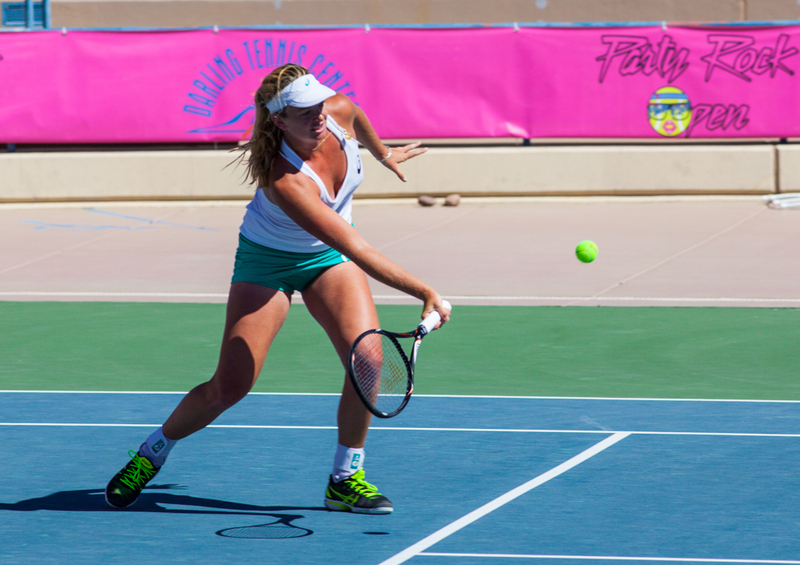 Oudin is a local from Marietta, Georgia who extensively trained at the tournament’s facility, formerly known as the Racquet Club of the South. Her last appearance in the event was a first round loss to Gail Brodsky in 2011. Oudin is the fifth woman named to the field of eight, all of whom will compete in Norcross for a main-draw wild card to the 2014 Australian Open under a reciprocal agreement with Tennis Australia. Others already announced are Victoria Duval, Madison Brengle, Shelby Rogers and Grace Min for the December 20-22 event at Lifetime Athletic in Peachtree Corners. 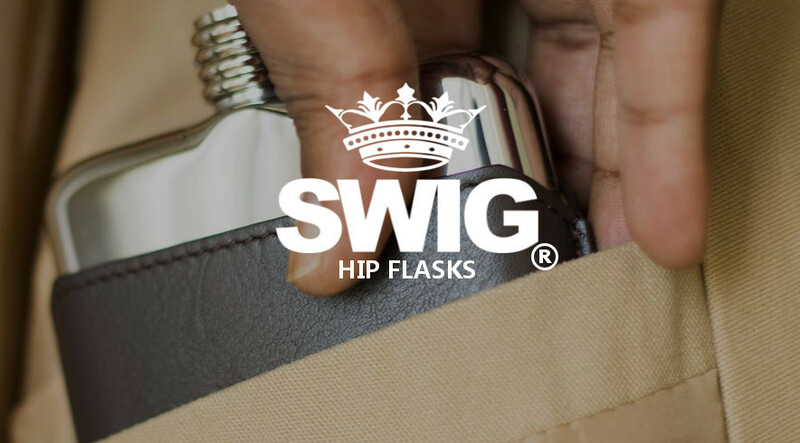 Posted in: Las Vegas, Party Rock Open, USTA, WTA. Tagged: 2013, CoCo, Las Vegas, mayo hibi, melanie oudin, Party Rock Open, tamira paszek, usta, Vandeweghe, women, wta. LAS VEGAS (Sept. 28, 2013) – Las Vegas loves the No. 21, and on Saturday night at the Party Rock Open the Vegas tennis fans celebrated with 21-year-old Southern Californian CoCo Vandeweghe, who shuffled into the final round of Redfoo’s USTA Women’s $50,000 Pro Circuit event with a dominating 6-1, 6-3 win over Georgia’s Anna Tatishivili at the Darling Tennis Center. Vandeweghe will have to get past her junior rival Melanie Oudin if she is to walk away with the $7,600 singles prize money on Sunday as Oudin, born in 1991 like Vandeweghe, knocked out 17-year-old Japanese amateur Mayo Hibi, 3-6, 6-4, 7-5, in a tight match that ended on two consecutive net cords in favor of Oudin. Being interviewed by co-tournament director Jordan Butler after her match, Vandeweghe told the crowd she hasn’t had much time to play the tables or slots in Vegas’ casinos. Not yet, at least. “I’ve been playing some late matches so I haven’t been able to go out and enjoy Vegas yet, but I’m planning to stick around an extra day or two and see the Strip and have some fun,” Vandeweghe said. Vandeweghe, who split with her coach Jan-Michael Gambill this past summer, brought along good friend and supporter Vaclav Burger, who has helped her scout her opponents all week. 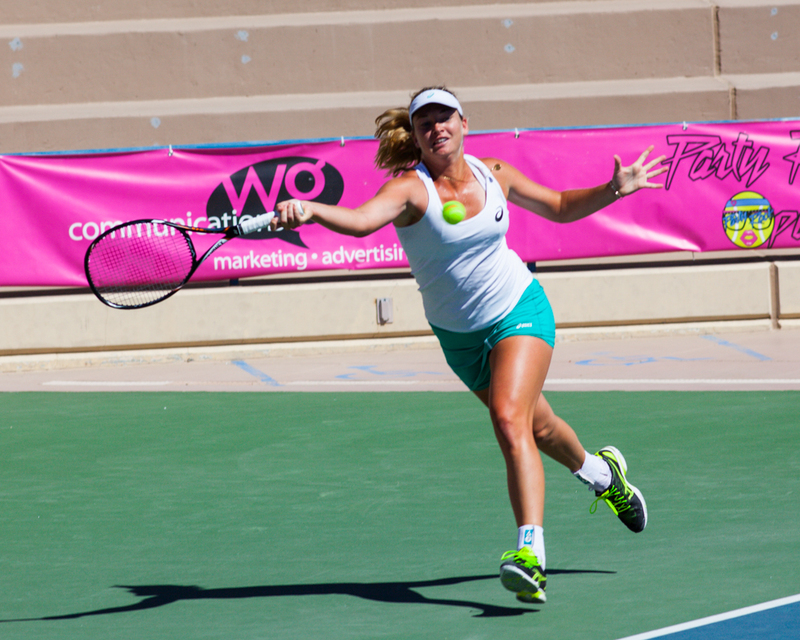 Vandeweghe will also contest the doubles final on Sunday as she and Austrian partner Tamira Paszek, the No. 2-seeded team take on the U.S. pair of Denise Mursean and Caitlin Whoriskey in the match following the singles final. Stadium Court, starting at 1 p.m.
Posted in: Las Vegas, Party Rock Open. 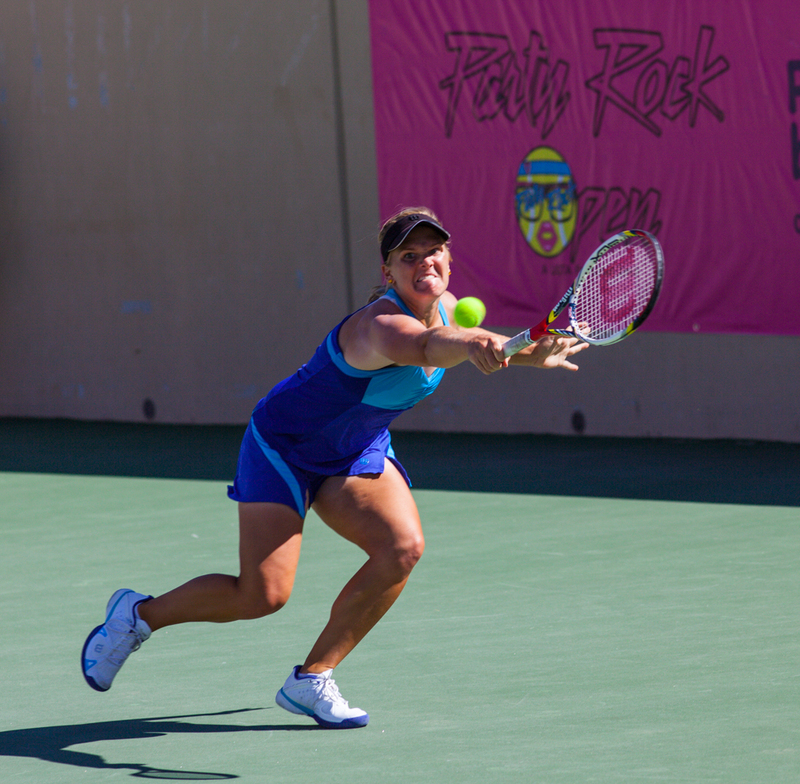 Tagged: Las Vegas, mayo hibi, melanie oudin, Party Rock Open. 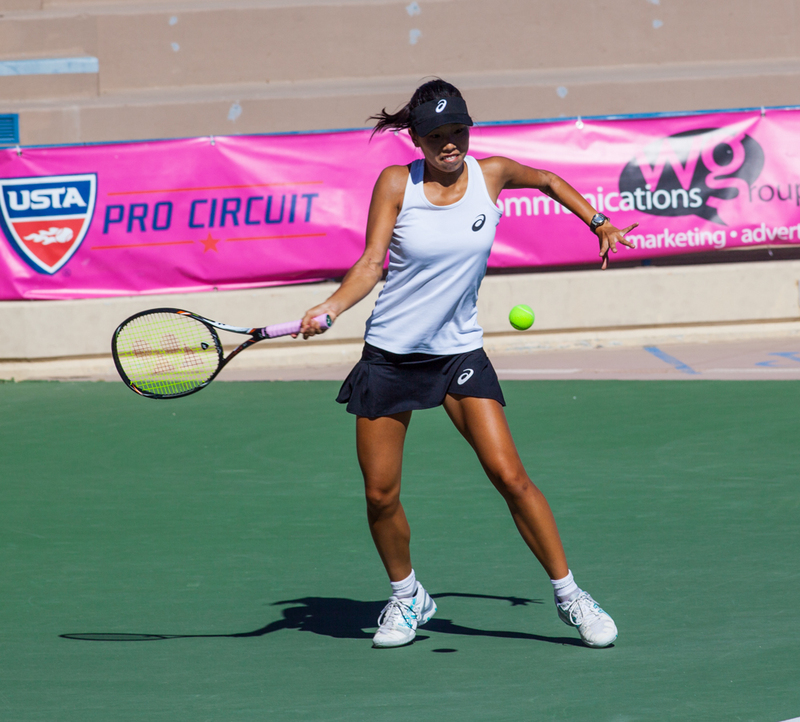 LAS VEGAS (Sept. 27, 2013) – Mayo Hibi rallied from down 5-1 in the second set to upset top-seeded Alja Tomljanovic of Croatia 6-2, 7-6 (4) and advance to the semifinals at the Party Rock Open on Friday. The 17-year-old Hibi, who moved to Irvine, Calif., at age 2 and represents Japan, will face 23-year-old American Melanie Oudin not before 6 p.m. on Saturday in the second semifinal being played at the Darling Tennis Center in the USTA Women’s $50,000 event. 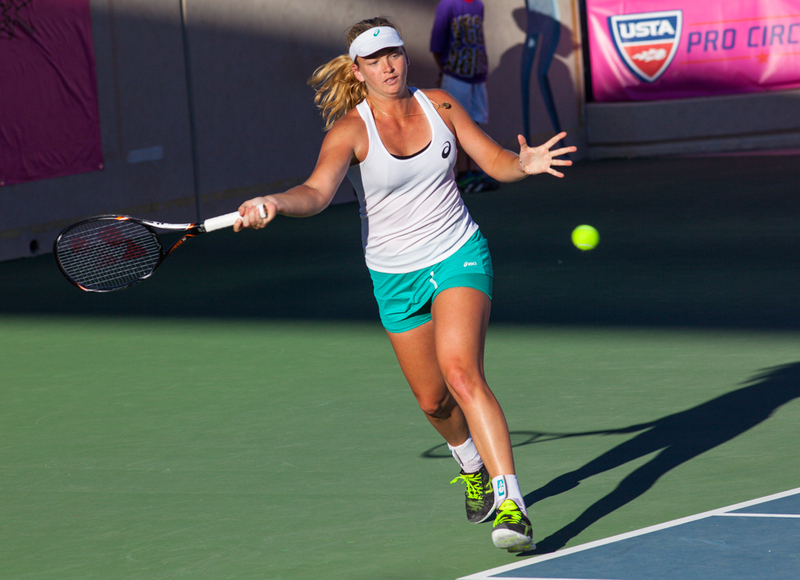 In the first semifinal at 4 p.m., American CoCo Vandeweghe will meet Anna Tatishvili of Georgia. Both took different routes to the semis as Vandeweghe had a routine 6-3, 6-4 win over Madison Brengle while Tatishvili downed American qualifier Allie Kiick, 5-7, 6-0, 6-0. 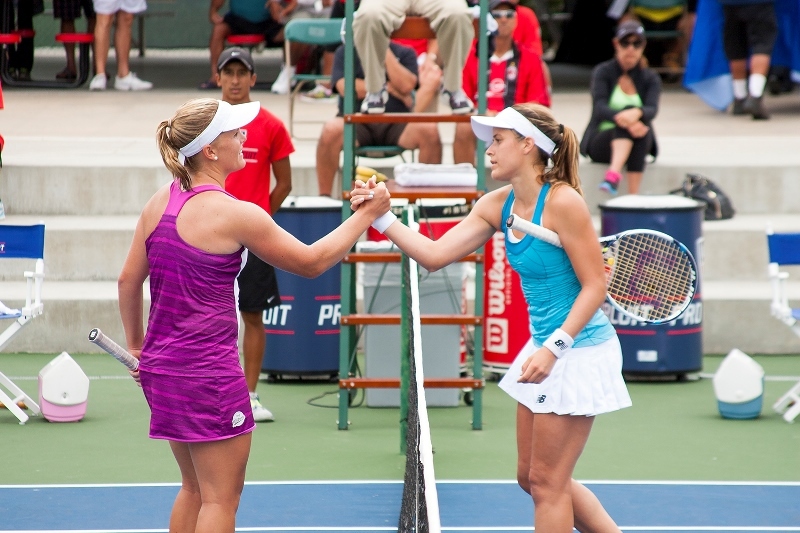 Both Hibi (2013) and Oudin (2008) are former ASICS Easter Bowl junior champions and have never faced each other before. Vandeweghe beat Tatishvili in their only career meeting on grass at an ITF pre-Wimbledon warm-up tournament last year. Vandeweghe will also contest the doubles final on Sunday as she and Austrian partner Tamira Paszek, the No. 2-seeded team, beat the young U.S. pairing of Samantha Crawford and Sachia Vickery, 4-6, 7-6 (4), 10-8, in the night’s final match. Stadium Court, starting at 4 p.m.